This has become my favourite curry to make, it takes a little more effort than some and a few unusual ingredients but it gives me that rich and tangy curry taste that I crave. 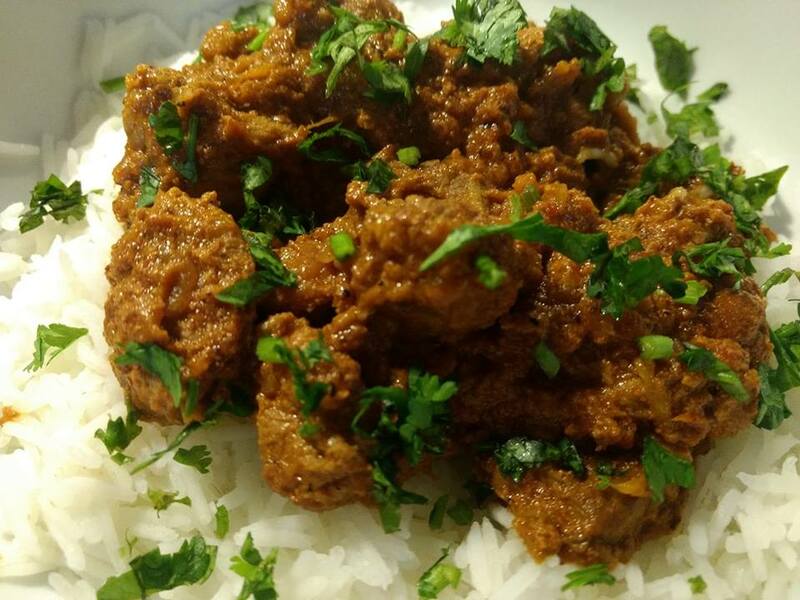 You can use any meat but I have tried a few and I think that lamb gives it a richer flavour, if you want a quicker meal you can use chicken and skip the slow cooking. Put all the ingredients for the paste into a dry saucepan and roast until they start getting fragrant being carefull not to burn them. Cool and then pound into a powder with a pestle and mortar or spice grinder. Put this powder into a bowl with the lemon juice and zest and the halved green chillis. and leave for 30 minutes. In a frying pan ligthly fry the onions, garlic and ginger until soft and then add the tumeric. Cool and then blend into a paste – add a little water if it wont blend easily. Season well with salt and I always add a splash of white wine vinegar to a curry to fgive it a lift. Put into an ovenproof dish, cover and cook slowly at 150 degrees, 130 fan, gas mark 2 for around an hour until the lamb is tender, if the meat is still tough when you check, leave it a bit longer. If at any time the sauce is too thick just add a splash of water. When ready stir through a knob of butter and serve with chopped corriander and basmati rice. Next Baked Aubergine with Preserved Lemon and Yoghurt.